Many excellent books have been written on the history of Chicago and historical crime stories... far too many to list here. These are just a few of the books that I recommend to anyone interested in exploring these topics. I enjoyed reading these books and used some of them while I was researching Alchemy of Bones. A few of these books are out of print, but they're worth hunting for at used book stores or libraries. I recommend using the search engine www.bookfinder.com. This well-written and researched book tells the story of how Chicago Police Superintendent George Shippy shot an immigrant visiting his home in 1908, setting off a scare that the man, Jeremiah or Lazarus Averbuch, had been an anarchist bent on assasinating the chief. Roth and Kraus make excellent use of quotes from the original newspaper reporting of the story. A largely forgotten story that deserves more attention. Hecht wrote this memoir in the early 1960s, which gave him the license to include racy details omitted from earlier tales of Chicago journalism. The stories are always colorful, although they do seem exaggerated or fabricated in at least a few places... including one story that appears to borrow details from the Luetgert case. This book also includes an appearance by Herman Schuettler. The original 1926 play that was the basis of the hit musical and movie... along with the Chicago Tribune articles by Maurine Watkins that inspired the play. The stage directions are amusingly dated, but the play itself is still highly entertaining, especially for readers who love those old movies about wisecracking newspaper reporters and gangsters. A compelling account of the case of Herman Mudgett a.k.a Dr. Henry H. Holmes, one of Adolph Luetgert's predecessors in the annals of notorious Chicago murderers. 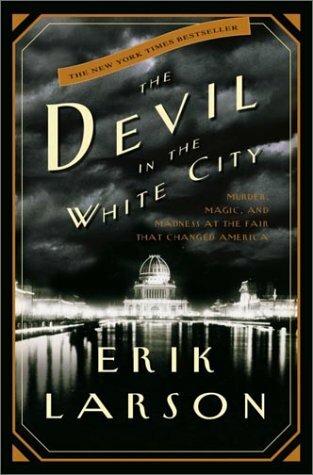 Holmes's tale (as well as the story of the 1893 World's Columbian Exposition) is also told in Erik Larson's 2003 book The Devil in the White City. 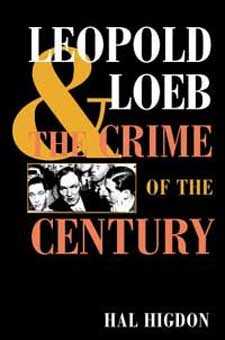 A thoroughly researched page-turner about the murder case that is arguably Chicago's most famous, the Leopold & Loeb trial. This book is a classic of its kind. Highly recommended. A collection of insightful and well-documented essays on everyday life in Chicago history in the late 1800s and early 1900s. Duis doesn't present Chicago's history as a chronological narrative, the pattern followed by many other books, instead taking the approach of sampling various topics, ranging from the workplace to eating habits and entertainment. He illustrates his points with many colorful anecdotes, all of them thoroughly documented in the notes. A great introduction to Chicago. Originally titled Gem of the Prairie, this has been repackaged now to tie in with another Asbury book, Gangs of New York, which was the basis of Martin Scorsese's movie. 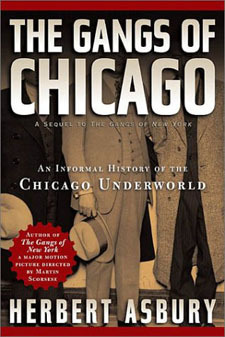 This is the classic book on Chicago crime. Although it is poorly sourced and organized, it is still one of the most fascinating books ever written about the city. An excellent book about the Haymarket Square bombing, the Anarchist and labor movements, the Haymarket trial and its aftermath. Avrich's history explores the tensions leading up to the tragedy in impressive detail. Vignettes of Chicago life by one of the city's best-known journalists. It's hard to know what is fact and what is fiction in Ade's writing, but he often does an excellent job of capturing the atmosphere and spirit of the city. A solid overview of Chicago history in the 19th century, this book was recently the basis of a three-part series on the PBS show The American Experience. Miller's book tells the city's story in page-turning fashion while also putting it in historical and social context. Another good overview of the city's history, especially strong in its use of personal stories. A Chicago Historical Society book that examines the 1890s. An amusing compendium of anecdotes about the zany antics of Chicago journalists. The book's stories are not always well-documented and the lack of transitions can be maddening, but in places, it is a rip-roaring good read. This thought-provoking book examines how Europeans visiting Chicago in the 1890s viewed the city. A colorful pastiche of various scenes and stories from turn-of-the-century Chicago, many of them concerning the city's crime and vice. A fine Dover Books collection of photos from the archives of the Chicago Historical Society from the 1890s. A best-selling book that alternates between the gory tale of serial killer Henry Holmes and the story of the 1893 World's Columbian Exposition. The book is a good introduction to both topics, particularly in its account of the men and women who pulled off the amazing feat of creating the Exposition's "White City." An amazing graphic novel that tells the stories of the men in one family in overlapping chronologies reminiscent of Proust. One of the stories presents a convincing portrait of what Chicago was like at the time of the 1893 Columbian Exposition. This book lacerates the heart. 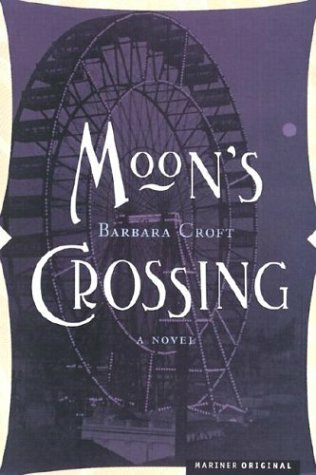 A short, poetic novel of great elegance that tells of a visitor to the 1893 Columbian Exposition. A call to arms for anyone who cares about preserving our history. Baker tells the appalling story of how libraries and other institutions discarded books and bound volumes of newspapers, replacing them with often shoddily produced microfilm. Many original documents were lost in the process. Baker makes a persuasive case. The classic Chicago newspaper play is definitely worth reading, even if you've seen the movies based on it. The dialogue is hilarious, of course, but don't overlook the interesting details tucked away inside the stage instructions.